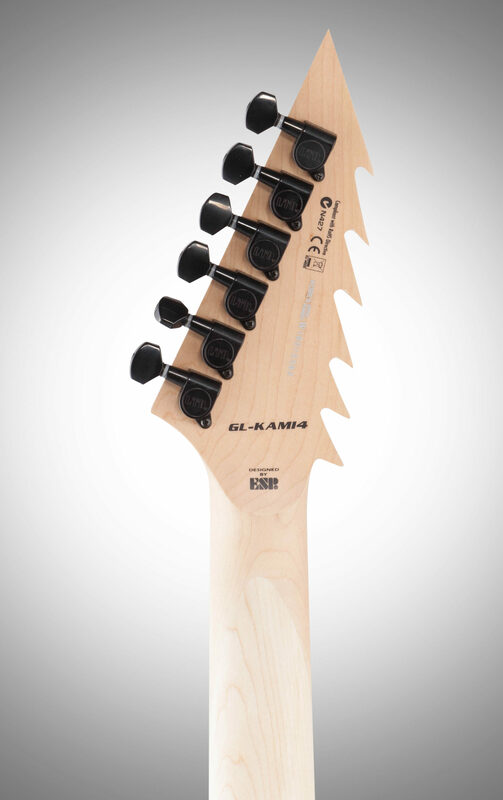 Based on George Lynch's original custom design, the GL-KAMI4 is being offered in an affordable LTD version for the first time. 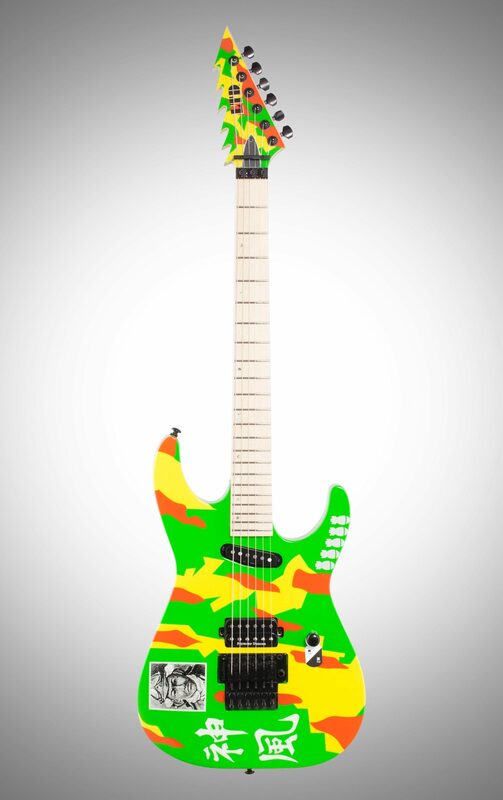 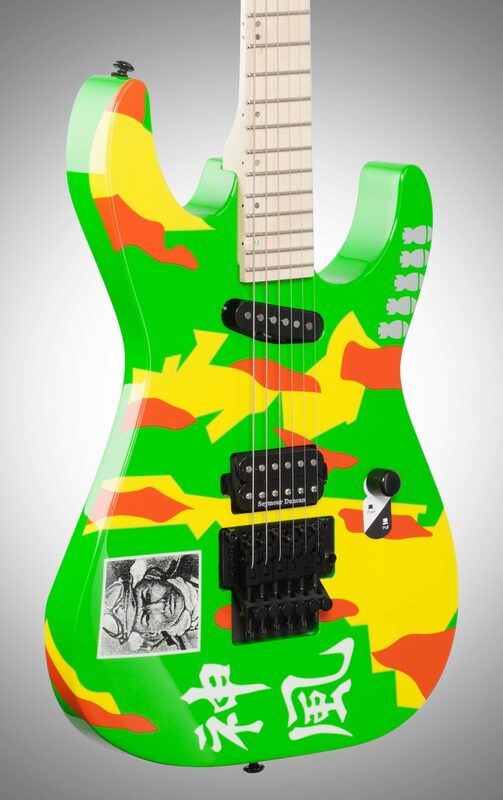 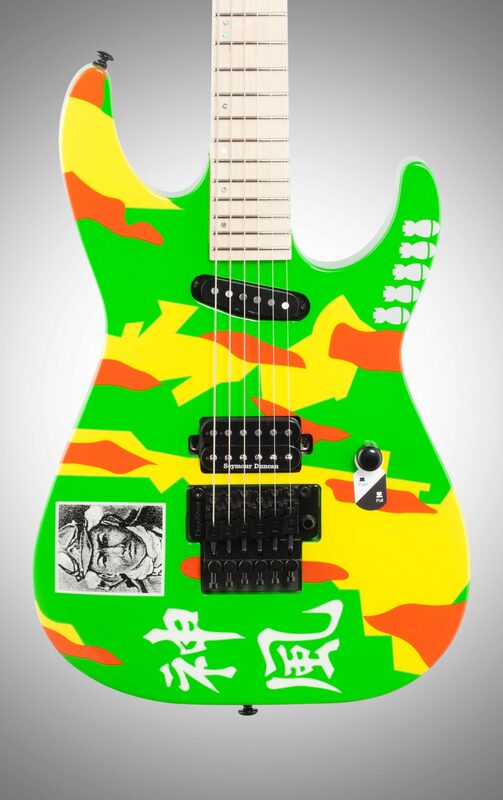 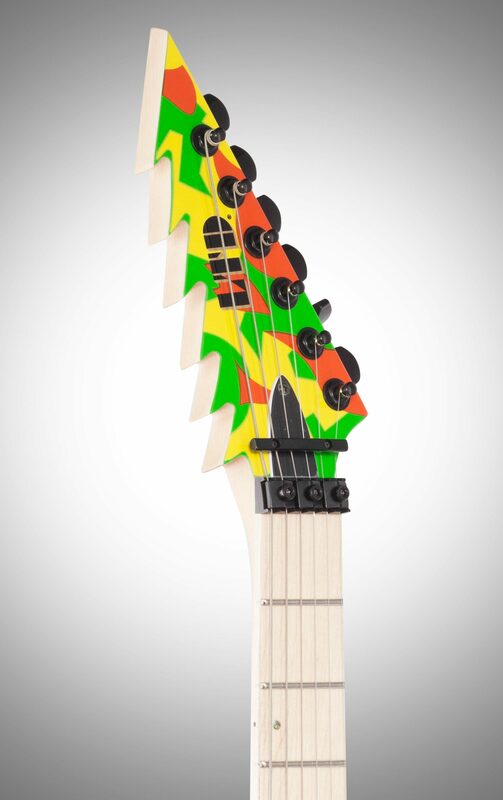 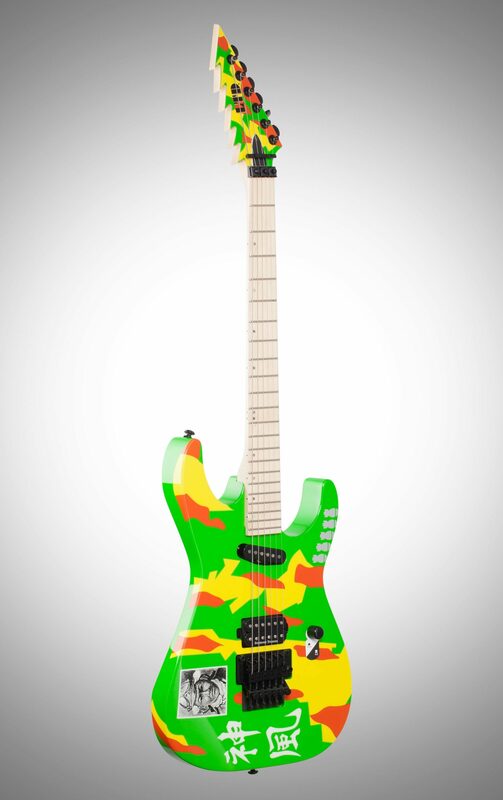 It delivers the well-known "Kamikaze" graphic finish in screaming neon colors, and adds the distinctive sawtooth-shaped headstock that's made this version of the Kamikaze coveted. 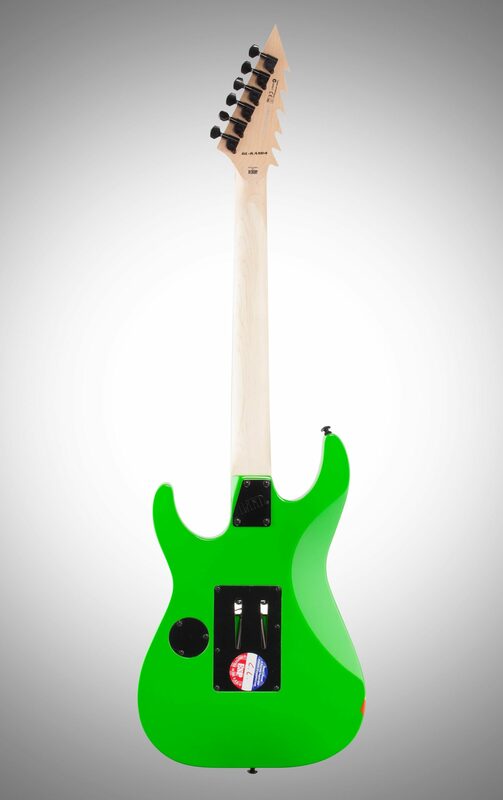 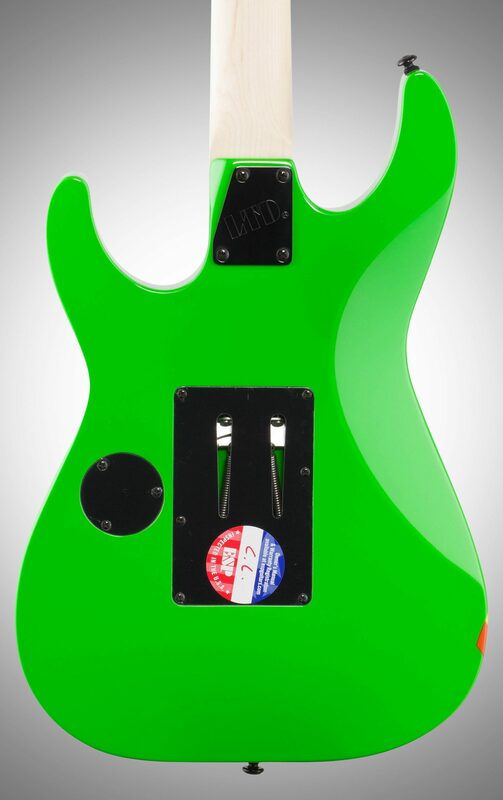 The GL KAMI-4 features a basswood body, bolt-on maple neck with maple fingerboard, a Floyd Rose 1000 bridge, and a combination of a new Seymour Duncan Signature George Lynch "Hunter" pickup in the bridge with an ESP Designed single-coil pickup in the neck position for a wide variety of scary tones.